The Main Operating Rooms at Vanderbilt University Medical Center can be reached from both I-40 and I-440. Placing the cursor over the map will display the zoom button. From I-40 take the Broadway/West End Avenue Exit (Exit 209B). Head west, away from downtown 0.7 miles to where 21'st Avenue splits off of Broadway heading South. 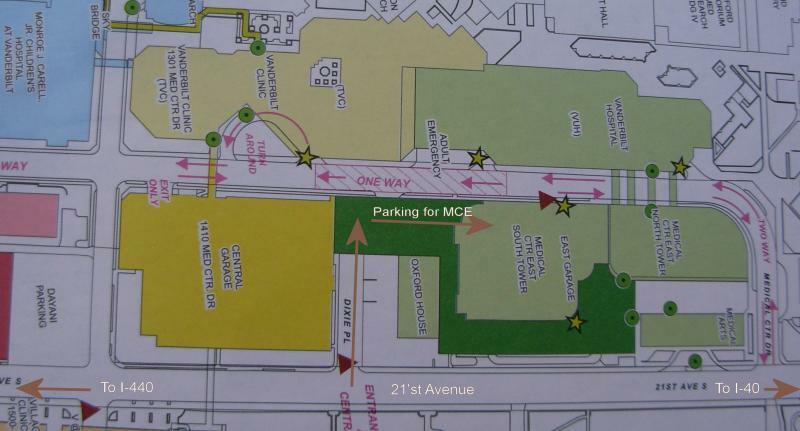 Take 21'st Avenue 0.4 miles to the Vanderbilt Medical Center complex. Follow the signs to the Central Garage. Admissions is across the street on the first floor of the main hospital.